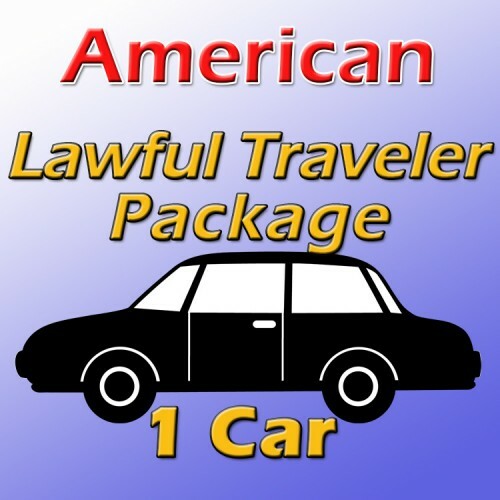 NOW included with ALL LAWFUL TRAVELER PACKAGES! FREEDOM from GOVERNMENT; Acting with Honor and As King SECOND EDITION! THE BEST SELF IMPROVEMENT BOOK EVER! PLATE REPLACEMENTS NOW AVAILABLE IN HEAVY DUTY ALUMINUM! 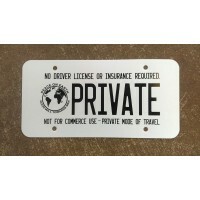 Two (2) License plate replacements (Durable and weatherproof heavy duty printed aluminum plate replacements that are made to fit perfectly where your old plate went). NOTE: All orders including aluminum tags will be shipped priority! Downloadable Notice to agents of government (WITH TEETH!) 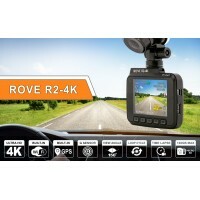 One to send to your local law enforcement, and one tho show them when you are stopped. Downloadable Declaration of political status document. Downloadable Four pages of Supreme Court and other Citations about your right to travel. One (1) Paperback copy of "Acting With Honor And As King" - police procedure book, how to handle all encounters with government. NOTE: By default all documents are instantly downloadable after checkout to conserve on paper and toner. If you need printed documents they are currently not available (sorry about that). Have a look at this Supreme court caselaw: "NOTICE the use of the word "motorist", not "traveler". "We hold, therefore, that a random stop of a motorist in the absence of specific articulable facts which justify the stop by indicating a reasonable suspicion that a violation of the law has occurred is constitutionally impermissible and violative of the Fourth and Fourteenth Amendments to the United States Constitution. It follows that a random stop solely for the purpose of a documents check is an unreasonable and unconstitutional detention of those in the stopped vehicle. Because the stop in the present case was arbitrary, and not based on justifying facts, it was illegal, and the evidence gathered as a result of the stop must be excluded from defendant\'s trial. The Superior Court order granting defendant\'s motion to suppress was correct as a matter of law. 3) everything is insured or bonded! The debtor-slave on the plantation goes to a state licensed insurance company to „get‟ car insurance, enters into agreement with insurance company (co-business partner with the state) and you so-call pay with check, credit card or cash, which is reduced to or is „federal reserve notes‟. Federal Reserve Notes, as stated by the Federal Reserve Bank states; “In the United States neither paper currency nor deposits have value as commodities. Intrinsically, a dollar bill is just a piece of paper, deposits merely book entries…” – Modern Money Mechanics – Federal Reserve Bank of Chicago – page 3 – Revised 6-1992; and B. ), and as stated by the IRS; Federal Reserve Notes are valueless. (See IRS Codes Section 1.1001-1 (4657) C.C.H.) So what did the debtor-slave tender for the insurance? Valueless pieces of paper, or a piece a paper, a check, that is merely a bookkeeping entry somewhere that may result in more valueless paper to be tendered and/or certainly more bookkeeping entries sent somewhere. But what the debtor-slave tendered, he most likely „labored‟ for and yet he received nothing of equal valuable consideration (sweat labor for valueless pieces of paper). But in this insurance transaction, the State stays in control of all parties. And for the debtor-slave on the plantation, no insurance means at the traffic stop, a citation… commercial punishment which means more revenue for the state! As for the Secured Party Creditor, having laid the foundation of the knowledge and of the money issue, being the „Private Banker‟, either by previous agreement with the state, or otherwise can provide his own „Bond‟ as evidence if „Financial Responsibility‟. The Bond is an insurance policy… acting as „in the event of‟ (an accident) “I promise to pay…” But Federal Reserve Notes are valueless „promises to pay‟, so when are you going to pay and in what? The Bond say‟s “…Every obligation, heretofore or hereafter incurred, whether or not any such provision is contained therein or made with respect thereto, shall be discharged upon payment, dollar for dollar, in any coin or currency which at the time of payment is legal tender for public and private debts. Any such provisions contained in any law(s) authorizing obligations to be issued by or under authority of the United States, is hereby repealed.” The Bond is „Evidence of Financial Responsibility‟. Certainly the Secured Party Creditor will know how to handle such situations and will know how to „discharge‟ any liability there from via acceptance for value. Also note; at the traffic stop, the police officer does not have a „License‟ to practice law and therefore cannot make a legal determination as to the validity of the Bond. The Bond is to be recorded into the Public making it recognizable in any administrative tribunal/court. Case # 2 – “The right of the citizen to travel upon the public highways and to transport his property thereon, either by carriage or by automobile, is not a mere privilege which a city may prohibit or permit at will, but a common right which he has under the right to life, liberty, and the pursuit of happiness.”- Thompson v Smith 154 SE 579. Case # 3 – “The right to travel is a part of the liberty of which the citizen cannot be deprived without due process of law under the 5th Amendment.” – Kent v Dulles, 357 U.S. 116, 125. Case # 4 – “Undoubtedly the right of locomotion, the right to remove from one place to another according to inclination, is an attribute of personal Iiberty, and the right, ordinarily, of free transit from or through the territory of any State is a right secured by the l4th Amendment and by other provisions of the Constitution.” – Schactman v Dulles, 96 App D.C. 287, 293. 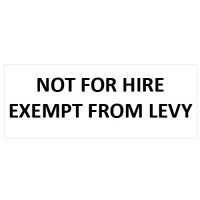 Government, in requiring the people to file for “drivers licenses, vehicle registrations, mandatory insurance, and demanding they stop for vehicle inspections, DUI/DWI roadblocks etc. without question, are “restricting”, and therefore violating, the Peoples common law right to travel. This means that the “beliefs and opinions” our state legislators, the courts, and those of as involved in the law enforcement profession have acted upon for years have been in error. Researchers armed with actual facts state that U.S. case law is overwhelming in determining that – to restrict, in any fashion, the movement of the individual American in the free exercise of their right to travel upon the roadways, (excluding “commerce” which the state Legislatures are correct in regulating), is a serious breach of those freedoms secured by the U.S. Constitution, and most state Constitutions, i.e – it is Unlawful. THE REVELATION THAT THE AMERICAN CITIZEN HAS ALWAYS HAD THE INALIENABLE RIGHT TO TRAVEL RAISES PROFOUND QUESTIONS TO THOSE WHO ARE INVOLVED IN MAKING AND ENFORCING STATE LAWS. The first of such questions may very well be – If the States have been enforcing laws that are unconstitutional on their face, it would seem that there must be some way that a state can legally put restrictions, such as – licensing requirements, mandatory insurance, vehicle registration, vehicle inspections, D.W.I. roadblocks, to name just a few, on a Citizens constitutionally protected right. Is that not so? For the answer to this question let us Iook, once again, to the U.S. courts for a determination on this very issue. “the assertion of federal rights, when plainly and reasonably made, is not to be defeated under the name of local practice.”- Davis v. Wechsler, 263 U.S. 22, 24. Would we not say that these judicial decisions are straight to the point – that there is no lawful method for government to put restrictions or Iimitations on rights belonging to the people? - Miranda v. Arizona, 384 U.S. 436, 491. “The claim and exercise of a constitutional right cannot be converted into a crime.· – Miller v. U.S., 230 F 2d 486, 489. We could go on, quoting court decision after court decision, however, In addition, the Constitution itself answers our question- “Can a government legally put restrictions on the rights of the American people at anytime, for any reason”? (Such as in this particular case – when the government believes it to be for the safety and welfare of the people). “The Senators and Representatives before mentioned, and the Members of the several State Legislatures, and all executive and judicial Officers, both of the United States and of the several States, shall be bound by Oath or Affirmation, to support this Constitution;”. – ART. 6 U.S. CONST. We know that Police officers, are a part of the Executive branch. We are “Executive Officers”. Article 6 above, is called the SUPREMACY CLAUSE, and it clearly states that, under every circumstance, the above listed officials in these United States must hold this documents tenets supreme over any other laws, regulations, or orders. Every U.S. Police officer knows that they have sworn a oath to the people of our nation that we will not only protect their lives and property, but, that we will uphold, and protect their freedoms and rights under the Supreme laws of this nation, – the U. S. Constitution. In this regard then, we must agree that those within government that restrict a Citizens rights, (such as restricting the peoples right to travel,) are acting in violation of his or her oath of office and are actually committing a crime against such Citizens. Here’s an interesting question. Is ignorance of these laws an excuse for such acts by officials? If we are to follow the “letter of the law (as we are sworn to do), this places officials that involve themselves in such unlawful acts in a unfavorable legal situation. For it is a felony and federal crime to violate, or deprive citizens of their Constitutionally protected rights. Our system of law dictates the fact that there are only two ways to legally remove a right belonging to the people. These are – #1 – by lawfully amending the constitution, or #2 – by a person knowingly waiving a particular right. Some of the confusion in our present system has arisen because many millions of people have waived their right to travel “unrestricted” upon the roadways of the states and opted into the jurisdiction of the state for various reasons. Those who have knowingly given up these rights are now legally regulated by state law, the proper courts, and “sworn, constitutionally empowered officers-of-the-law,” and must acquire proper permits, registrations, insurance, etc. 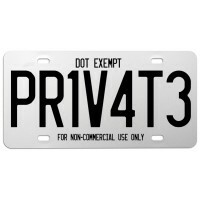 #1 – Any citizen that involves themselves in “commerce,” (business for private gain), upon the highways of the state. 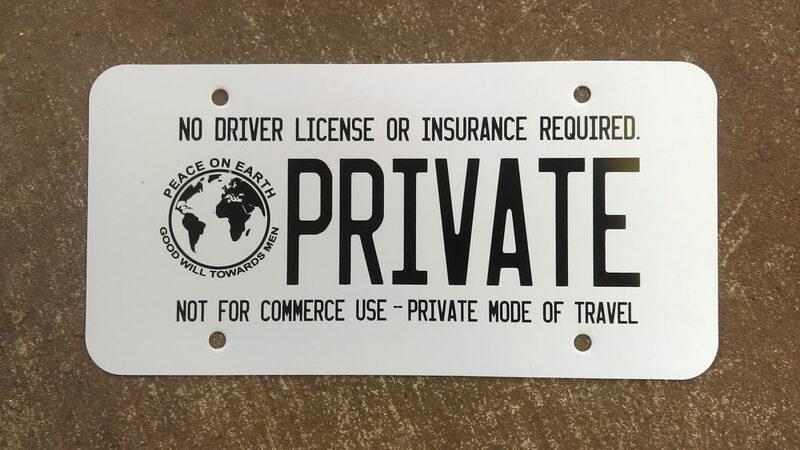 “…For while a citizen has the right to travel upon the public highways and to transport his property thereon, that right does not extend to the use of the highways, either in whole or in part, as a place for private gain. For the latter purpose no person has a vested right to use the highways of the state, but is a privilege or license which the legislature may grant or withhold at its discretion…” – State v Johnson, 243 P. 1073, 1078. Other U.S. court cases that confirm and point out the difference between the “right” of the citizen to travel and a government “privilege” are – Barney v Board of Railroad Commissioners; State v City of Spokane, 186 P. 864.; Ex Parte Dickey (Dickey v Davis), 85 S.E. 781.; Teche Lines v Danforth, 12 So.2d 784. There are numerous other court decisions that spell out the JURISDICTION issue In these two distinctly different activities. However, because of space restrictions we will leave it up to officers to research it further for themselves. (See last page for additional references). We should remember what makes this “legal,” and not a violation of the individuals common law right to travel “unrestricted” is that they knowingly volunteer, freely, by contract, to waive their right. If they were forced, coerced or unknowingly placed under the states powers, the courts have said it is a clear violation of their rights. This in itself raises a very interesting question. What percentage of the people in each state have filed, and received, licenses, registrations, insurance etc. after erroneously being advised by their government that it was mandatory? Example: If a state legislator, judge or a superior tells a police officer to proceed and enforce a contradictory, (illegal), state law rather than the Supreme Law of this country, what is that “sworn officer” to do? Although we may not want to hear it, there is but one right answer, – “the officer is duty bound to uphold his oath of office” and obey the highest laws of the nation. THIS IS OUR SWORN DUTY AND IT’S THE LAW! Such a strong honest stand taken by a police officer, upholding his or her oath of office, takes moral strength of character. It will, without question, “SEPARATE THE MEN FROM THE BOYS.” Such honest and straight forward decisions on behalf of a government official have often caused pressure to be applied to force such officers to set aside, or compromise their morals or convictions. As a solace for those brave souls in uniform that will stand up for law and justice, even when it’s unpopular, or uncomfortable to do so…let me say this. In any legal stand-off over a sworn official “violating” or “upholding” their oath of office, those that would side with the “violation” should inevitable lose. “THE CLAlM AND EXERCISE OF A CONSTITUTIONAL RlGHT CANNOT BE CONVERTED INTO A CRIME.” – Miller v U.S., 230 F 2d 486. 489. And as we have seen, “traveling freely,” going about ones daily activities, is the exercise of a most basic right. 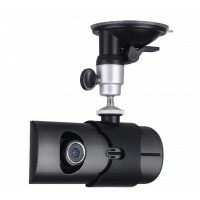 Heavy Duty Aluminum NEW DESIGN! 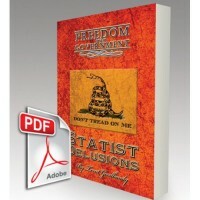 "FREEDOM from GOVERNMENT: Statist Delusions" - PDF Ebook ONLY $5!NOW AVAILABLE! 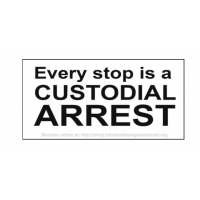 INSTANT DO..
Get the "Every stop is a CUSTODIAL ARREST" sticker 2 for $5. Measures 4 inches wide by 2 inches tall..
Get the "I\'m NOT TALKING" window sticker 2 for $6. Measures 7 inches by 3 inches.MINIMUM ORDER OF T.. 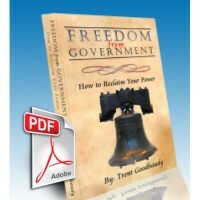 Authored by Trent Goodbaudy Exert your birthright to obtain freedom from corrupt government age..
"FREEDOM from GOVERNMENT: How to Reclaim Your Power" - ORDER NOW ONLY $9.95 with instant downlo..